Home > Our School > News > General > Students, put on your dancing shoes! Students, put on your dancing shoes! 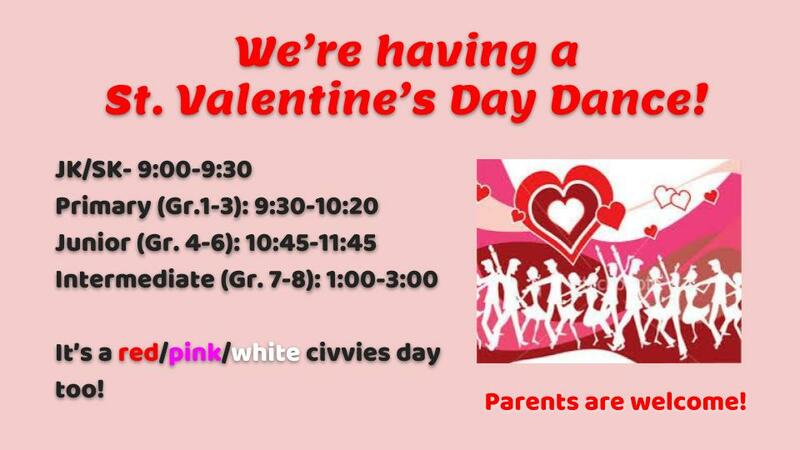 We will be celebrating St. Valentine’s Day on February 14th with a school dance. Please see the attached schedule. Parents are welcome to join in!